On the 2nd (Sun), make a trip to Lahaina Banyan Court, then take in the architecture and atmosphere at Maria Lanakila Catholic Church, and then tour the pleasant surroundings at Ka'anapali Beach. For maps, more things to do, other places to visit, and tourist information, you can read our Lahaina road trip app . 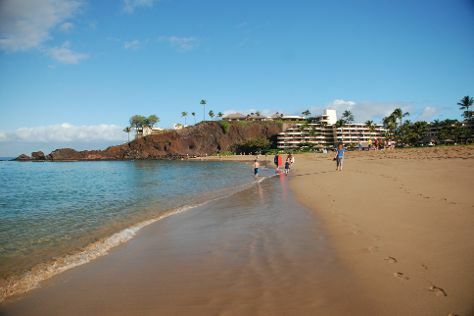 Atlanta to Lahaina is an approximately 16-hour combination of flight and bus. You can also do a combination of flight, taxi, and ferry. The time zone difference when traveling from Atlanta to Lahaina is minus 5 hours. When traveling from Atlanta in December, plan for a bit warmer days and much warmer nights in Lahaina: temperatures range from 78°F by day to 68°F at night. Finish your sightseeing early on the 2nd (Sun) so you can travel to Kipahulu. Get out of town with these interesting Kipahulu side-trips: Kula (Ali'i Kula Lavender Farm & Maui Wine, Ulupalakua Vineyards), Wai'anapanapa State Park (in Hana) and Haleakala Crater (in Haleakala National Park). Spend the 3rd (Mon) exploring the striking scenery along Hana Highway - Road to Hana. To see more things to do, ratings, reviews, and tourist information, refer to the Kipahulu route planning site . Getting from Lahaina to Kipahulu by car takes about 3 hours. Expect a daytime high around 82°F in December, and nighttime lows around 66°F. Wrap up your sightseeing on the 6th (Thu) early enough to travel back home.